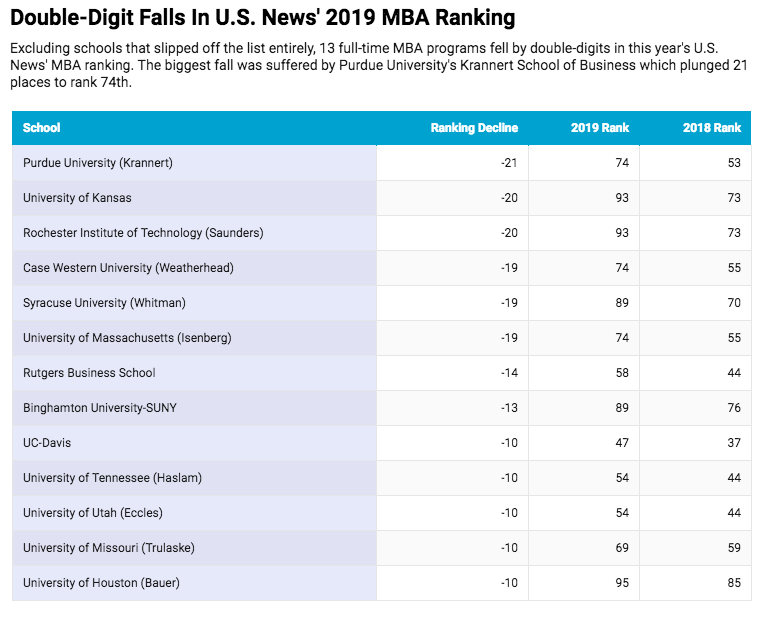 Purdue University’s Krannert School of Management plunged 21 spots to rank 74th from 53rd last year. Seven business schools dropped off last year’s list entirely, replaced by other rivals. The highest ranked of the new entries is Tulane University’s Freeman School of Business at a rank of 63rd. Two years ago, Freeman’s full-time MBA program had been ranked 73rd by U.S. News.